On Thursday it was crazy in the Expresso studio as the one and only Wayde Van Niekerk joined us in the Expresso studio for the first time. He is someone that you might have heard of, after all he did receive a gold medal for the 400m in the 2016 Rio Olympic. The current world and Olympic champion, joined us for the first time for an interview, this phenomenal young man broke the 400m world record at the Rio Olympics last year. He beat Michael Johnsons previous record, a record which hadn’t been touched in 17 years, Wayde finished the men’s 400-meters in 43.03 seconds, that’s 0.15 seconds faster than Johnson did in 1999. He was also named SA sportsperson of the year. 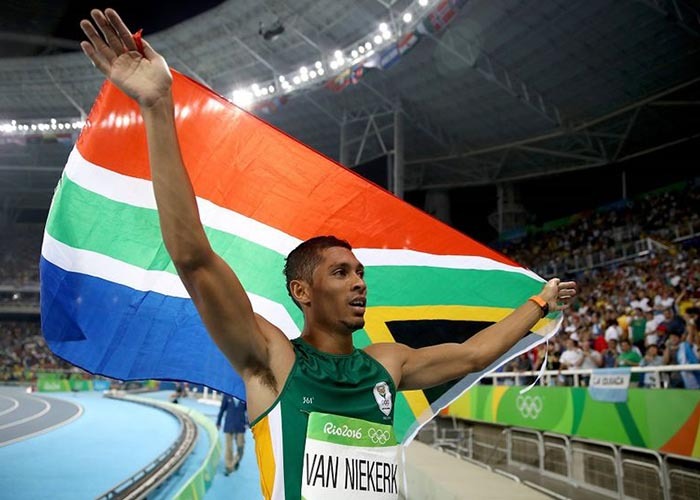 Wayde is not only an athlete he is also a philanthropist, he recently launched the Wayde Dreamer Foundation, a foundation that aims to nurture and develop young South Africans and their talents, including the Anna Botha Learnership Programme which looks at providing learnership programmes to disabled youth throughout the country. All of this at the age of 24 years old (he kind of makes everyone look bad). Is there any stopping this young man? We certainly hope not. Just incased you missed it, below are is some of what Wayde got up to in our studio as he spoke about his foundation and played a few games with our presenters, your favourite feel good breakfast show.